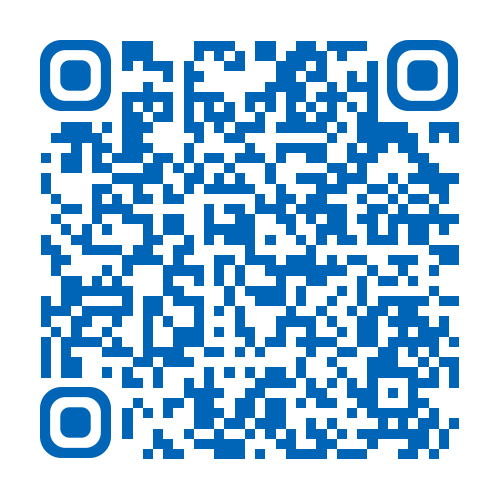 This leaflet has been produced to give you general information about your treatment. Most of your questions should be answered by this leaflet. It is not intended to replace the discussion between you and your healthcare professional, but may act as a starting point for discussion. If after reading it you have any concerns or require further explanation, please discuss this with a member of the healthcare team caring for you. What is a slipper cast? 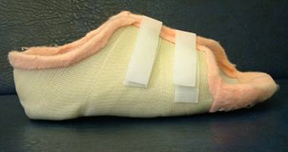 A slipper cast is a custom-made, slipper shaped device that has a reinforced sole and fits snugly to the foot. It is made from materials similar to those that are used to make casts for broken bones. The flexible sides mean that it can be taken on and off. Why do I need a slipper cast? Foot problems can be caused by pressure from everyday activities such as walking and from shoes. Continuing pressure can delay healing of any foot problems therefore slipper casts have been designed to take pressure away from the affected parts of the foot. They are used to divert the pressure away from foot ulcerations, broken bones and in treating the Diabetic Charcot Foot. Although the cast is custom-made to fit your foot there is a possibility that it could rub. It is important to check the foot and cast regularly and to make sure there is no rubbing. If the cast does rub stop you must stop using it immediately and contact the Diabetes Foot Protection Team for advice. How is a slipper cast made? The cast is made to fit as close to the foot as possible. It is made from layers of casting tape which are wrapped around the foot to create a close fit. Once the cast has set, it is cut and shaped into a slipper. Velcro tapes are used to secure the cast to the foot and allow it to be taken on and off. How is a slipper cast used? The cast can be used over normal dressings. The dressings should be as thin as possible to ensure the cast is a snug fit. Your healthcare professional will discuss your dressings with you. The cast must not be put in direct contact with the skin as this may cause rubbing. A thin sock or layer of tubular bandage should be applied first and the Velcro tapes must be fastened firmly to stop the cast moving and rubbing. A special sandal will be used over the cast as it is too large to fit into ordinary footwear. It is vital that the cast is used whenever walking to keep pressure away from the foot problem. For broken bones or Diabetic Charcot Foot the cast may be used inside a walking brace. The cast should be removed at night and must be kept dry. However the cast should be checked daily and any damage to the device please cease usage and contact the Diabetic Foot Protection Team. The cast can be re-used many times before it needs replacing. Rub marks from the cast. Increase in the amount of fluid coming from the ulcer. Hot or cold sweats or flu like symptoms. Diabetic Foot Protection Team The Diabetes Centre, Brocklehurst Building.